Six students from AHS attended the National High School Journalism Convention at the Sheraton Hotel and Hynes Convention Center in Boston this past weekend. Approximately 5,500 students, teachers, and professionals attended the conference, which lasted from Thursday, November 14, to Sunday, November 17. High schools and middle schools from all over the country participated in the event, which was one of the largest ever run by the National Scholastic Press Association and its partner, the Journalism Education Association. Students were invited to take part in any of the 400 learning sessions provided, as well as numerous writing contests. Mr. Aubrey, the Journalism and Newspaper Production teacher at AHS, led a session of his own known as “Break With a Pro.” Students met in small groups with professionals from different fields of journalism, ranging from magazine writing to broadcast reporting, in order to discuss what their jobs are like. Jenna Kosinski, a junior and member of the newspaper club at AHS, attended Aubrey’s session at the convention. “I liked talking to someone who was in the journalism business. She is the producer of Chronicle, and she told us about how she got to her position and what she does in her position now. It gave some insight into what it would actually be like if I were to go into that profession,” said Kosinski. Students were also encouraged to collaborate with their peers from different parts of the country. “Media Swap Shops” were held to allow students to share their schools’ newspapers, yearbooks, or literary magazines and receive feedback from other students and teachers. Mrs. Whalen, the head of the English Department, also made the trip to Boston. “I loved the conference and was impressed with all the varied offerings and the representation of thousands of students from across the country. 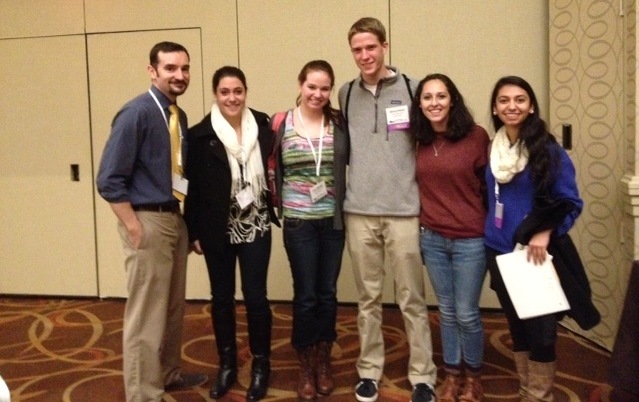 I’m delighted that Andover High students were able to attend,” said Whalen. During one of the most crowded sessions of the convention, keynote speaker Raney Aronson-Rath, the executive producer of PBS’ documentary series Frontline, shared her story of transitioning from a child raised in a small isolated town to an award- winning producer and director. She also gave students a sneak-peak of a new episode from her series, asking for feedback from the attendees. Next year the conference will be held in Washington D.C.